At the beginning of the new year, everyone is excited about getting organized, setting goals, and creating new habits in their life to make it better. Some of these goals might be to spend less time on technology. Other people might be more focused on other aspects of their life like finances or health. Instead of setting resolutions, I like to recommit myself to various habits every week. If I fail one week, it’s easy to recommit and start again the next week. Most people say that if you do something for at least 30 days you will create that habit in your life. The problem is trying to get to that 30 days. Whatever your goals are, there are definitely ways technology can help you accomplish them! 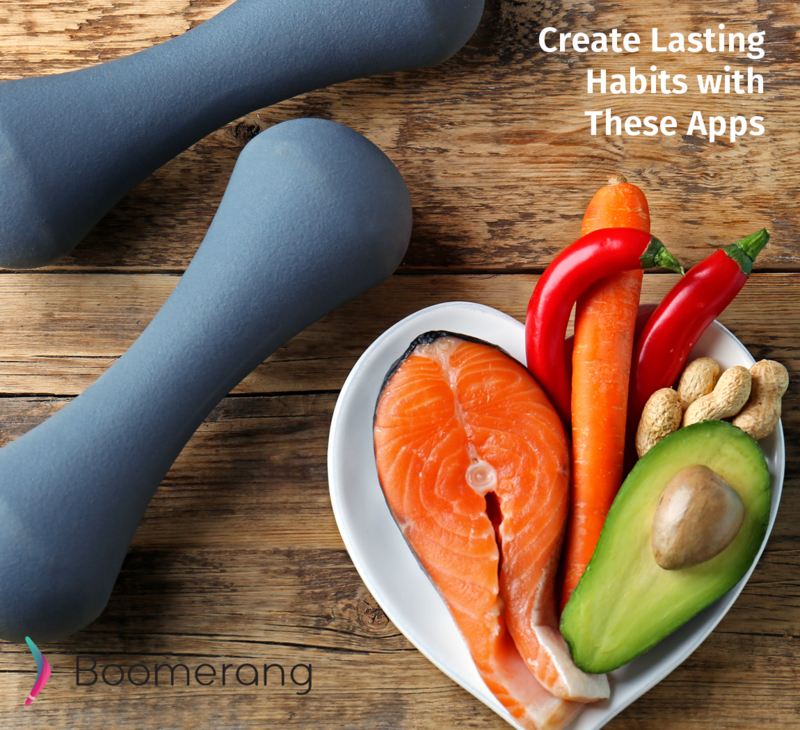 There are several apps that can help you incorporate these habits into your life so they finally stick. One of my favorite habit tracking apps is called Habit Bull. It has a great widget for Android devices that allow you to mark off each habit super easily without having to open the app. It will keep track of your streaks and get you motivated to keep your streaks alive. You can add any type of habit you want to create in your life, and even sync some habits with other apps like Google Fit. You can sync your data with the cloud so if you get a new phone you won’t lose your habits or your streaks. If you aren’t interested in cloud syncing Taskaday might be a great option for you too. The user interface for Taskaday is super simple so anyone should be able to set it up quickly. It will also keep track of your streaks and has a very beautiful app design. Adding a little gamification to any app can make it addicting. So, what if the app you are addicted to actually helps you keep your goals?? That is the idea behind Habitica. You can level up your character by keeping your habits and checking off your to-do items. Additionally, as you level up you will unlock new outfits and extras to help you customize your character in the game. Adding this gaming component to habit tracking makes it extremely motivating, especially for kids! This would definitely be on my always allow list in Boomerang Parental Control! If you are looking for something specifically for younger kids, Timo is a great app to help kids get into healthy habits and routines early. Remind them to brush their teeth, pick up their room and other things you want them to learn how to do on their own. The interface is cute and fun, and as they accomplish their tasks they can unlock some playtime inside the app. Data nerds will love this habit tracker. There are various history charts, statistics, scores, and streaks. You will be able to see how your habits have improved over time, which can be very motivating to keep it up! You can also set up reminders for individual habits at specific times during the day, check it off or snooze it directly from the notification. I always say you should check out a few apps that perform the task you want (like habit tracking) before you make a decision which one to go with. What works for one person might not be what will motivate the next person. Find out which app inspires you to keep going and then stick with that habit until it sticks back to you!